It’s fairly safe to assume that flour-milling and interior design have very little in common. Why would they, after all? Flour-milling by definition is industrial, utilitarian, sober in its office design and predictably conventional in its corporate culture. 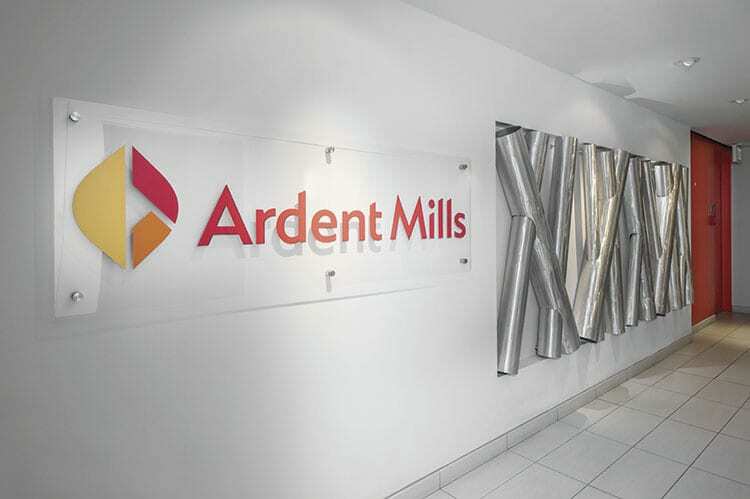 But Denver’s Ardent Mills is anything but conventional. The nation’s largest flour-milling operation chose to set up shop in approximately 45,000 square feet across four floors at downtown’s 15-story, 1875 Lawrence St. The firm’s offices are located in the top three floors while a research and development “Innovation Center” occupies the second floor. The high-rise location and overall design are a clear departure from the staid corporate standards of grids and cubicles. Break area’s exposed ceiling elements, butcher block tables, bench-style seating and concrete floors all pay homage to the company’s industrial heritage. 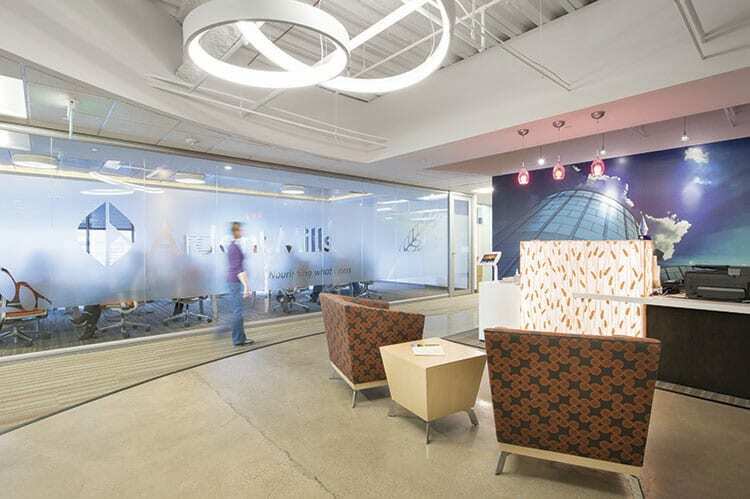 Ardent Mills’ overall design plan is open, freeform and vibrant with careful consideration given to collaboration, interaction and comfort. 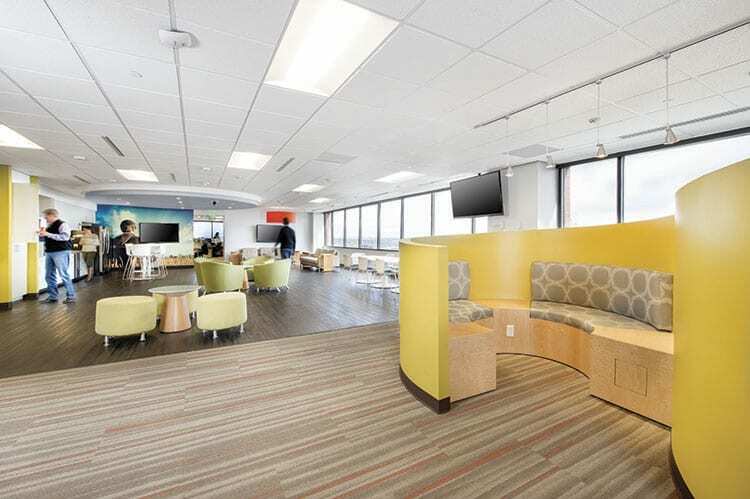 Flexible office spaces and workstations are interspersed with a profusion of “break” rooms, which double as alternative mobile work areas. Splashes of bright color punctuate the wide variety of furniture styles, fabrics and flooring. 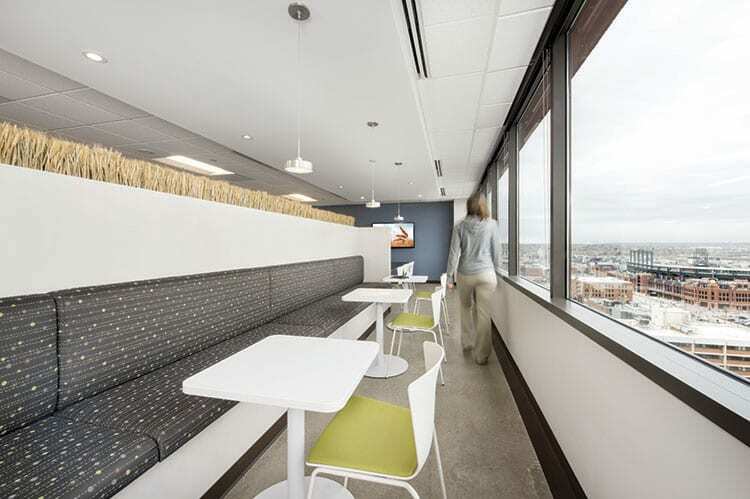 Benching-style seating links up the 120-degree open concept. 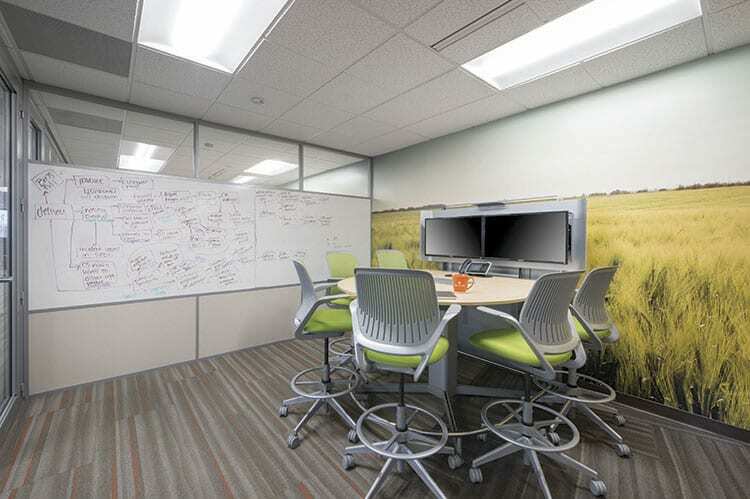 Murals, graphics and other touches of wheat and flour motifs are laced throughout the space offering a glimpse into the company’s organic heritage. Born from industry leaders Cargill, ConAgra and Horizon Milling, Ardent Mills set out with a goal to raise awareness of the health and wellness benefits in flour and grain products. 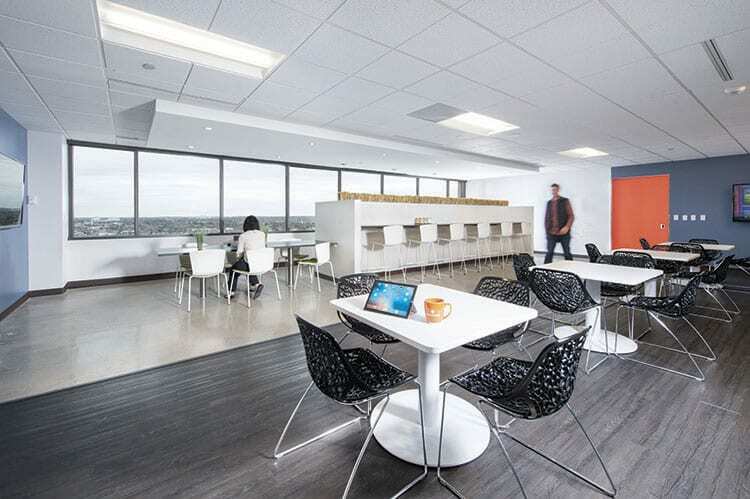 Its new Denver headquarters speaks directly to the establishment of a fresh and independent brand without breaking from the rich history of the flour milling industry. Industrial touches abound, including polished concrete floors, exposed ceiling systems, stainless steel, hardwood floors, and rolling factory fire doors, all paying homage to the development of American milling. The purpose of the company’s downtown address is already embedded in is culture. Employees and management of all ages feed off the energy and the pace of a burgeoning urban core. Community involvement and charity events are within close proximity. 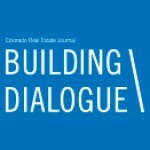 Denver International Airport and the company’s existing Commerce City are easy commutes. RTD’s Union Station light rail is close, convenient and safe, a boost to the company’s personnel recruitment and retention. Written by Kim Hoff, Kieding Senior Project Manager. Photos by Brad Nichol.